Plaintiff in a trade secret misappropriation and patent infringement case won a jury verdict for $11,909,797. I-Flow Corporation vs. Apex Medical Technologies Inc., No. 07CV01200(DMS), 36 Trials Digest 13th 16 (S.D. Cal. Verdict Date Oct. 28, 2009). As reported by Trials Digest, plaintiff’s award included $1,484,966 damages from defendant Apex to plaintiff for misappropriation of plaintiff’s trade secrets; and$1,484,966 damages from defendant McGlothlin to plaintiff for misappropriation of plaintiff’s trade secrets. According to court records: the U.S. Patent and Trademark Office (“PTO”) issued Patent No. 5,284,481 entitled “Compact Collapsible Infusion Apparatus” (‘”481 patent”). 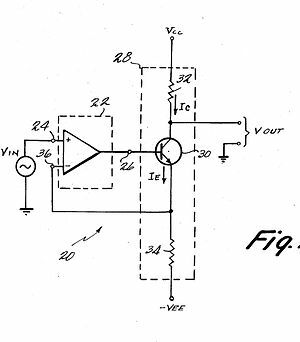 Plaintiff I-Flow Corporation was the owner by assignment of the ‘481 patent, and it provided a copy of the ‘481 patent to defendants Apex Medical Technologies Inc. and Mark McGlothlin. Defendant Solace Post-Operative Pain Relief Infusion System is alleged to have included an infusion pump that was covered by the ‘481 patent. Plaintiff alleged patent infringment through defendant’s making, using, selling, importing, and/or offering to sell infusion pumps such as the Solace Infusion Pump. Plaintiff alleged that defendant McGlothlin participated in The Adaptive Business Leaders Organization (“ABL”), an advisory group of which plaintiff’s principal is a member. Plaintiff further alleged that defendant McGlothlin agreed to maintain the confidentiality of any confidential and proprietary information obtained in the course of his participation in the ABL. Through McGlothlin’s participation in the ABL, defendants are alleged to have gained access to plaintiff’s confidential business information regarding the infusion pump and drug delivery markets, including confidential and proprietary business information. The parties engaged in a collaborative development effort, and during this collaboration, plaintiff disclosed to defendants confidential technical information regarding plaintiff’s infusion pump technology, including product specifications and requirements, methods of manufacturing, design challenges, and other technical know-how. Among other things, Plaintiff alleged that defendant Apex made, used, sold, and offered for sale pain management devices, including the Solace Post-Operative Pain Relief Infusion System. Plaintiff filed suit for infringement of Patent ‘481, trade secret misappropriation, breach of confidence, unfair competition, and statutory unfair competition. Plaintiff: Michael Friedland, Knobbe, Martens, Olson & Bear, San Diego, C; Ian Jaquette, Knobbe, Martens, Olson & Bear, San Diego; Steven J. Nataupsky, Knobbe, Martens, Olson & Bear, San Diego; Ali S. Razai, Knobbe, Martens, Olson & Bear, San Diego; Boris Zelkind, Knobbe, Martens, Olson & Bear, San Diego. Defendant: Robert C. Matz, Law Offices of Robert C. Matz, Alameda.